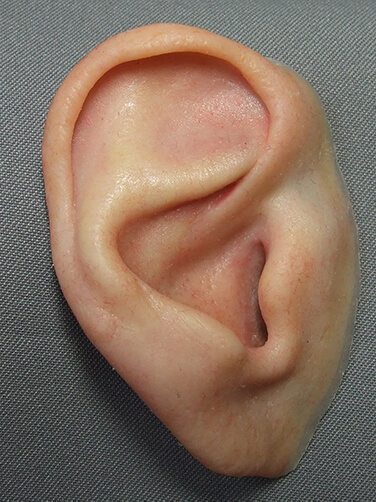 Medical Art Prosthetics created the nation’s model in defining aesthetic ear prosthetics as a distinct specialty elevated to its highest potential by the talented independent medical artist. 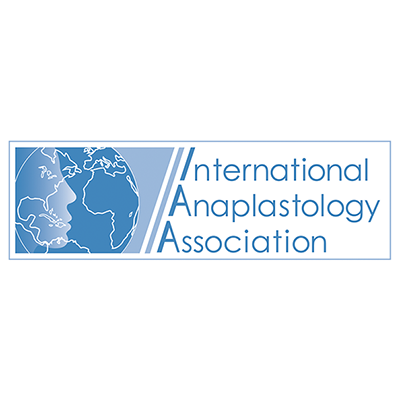 We lead the nation in total practitioner degrees and certifications focused specifically on prosthetic restoration of the ear and face using surgical and non-surgical methods. 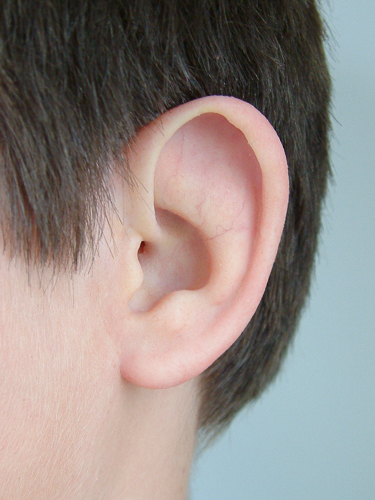 Now, traumatic amputation of the ear, auriculectomy, unsatisfactory autologous reconstruction, and untreated microtia/anotia are conditions routinely corrected with our perfect ear prosthesis symmetry process. We combine 3D technology and award-winning artistry to complete our client’s quest for a sense of serenity and anonymity that comes with having completely normal-looking, matching ears. Traumatic loss of the ear and unsatisfactory surgical reconstruction are often followed by the implant-retained auricular prosthesis as the definitive treatment. 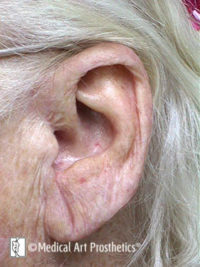 The final restoration completes the individual’s quest for symmetry, anonymity and a sense of serenity that comes with having a stable and normal-looking ear. Customizing the prosthesis to meet and match an individual’s style can be achieved. 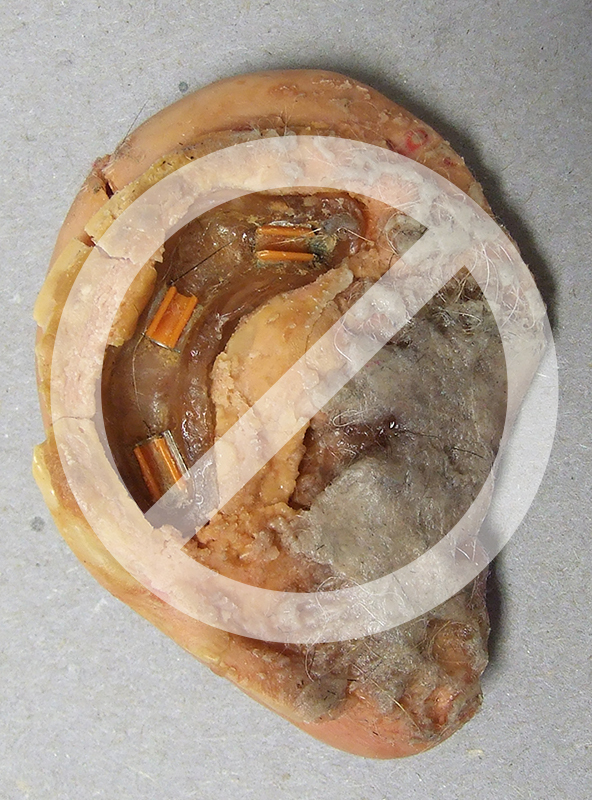 Competitor sample prostheses demonstrate fundamental failures or shortcomings involving materials, design, anatomical detail or initial color definition and surface texture. The improvements we offer in aesthetics and durability can be dramatic and have a dramatic effect on the wearer’s feeling about themselves and their appearance. We combine advanced 3-D technology with award-winning artistry. Customizing the prosthesis to meet and match an individual’s style can be achieved. 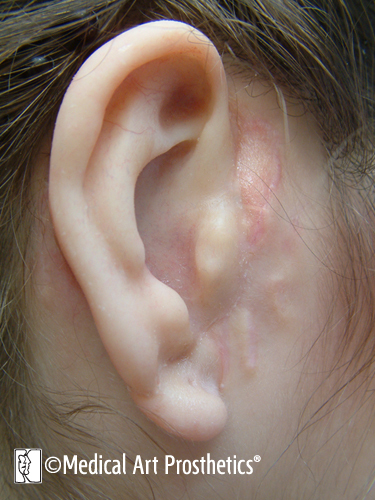 Naturalism is accomplished by selective surface treatment: leaving sheen on select cartilaginous areas and a matte finish on adjacent helix and lobe to simulate much softer tissue covered by very finevellus hair. The conventional adhesive-retained auricular prosthesis is the most immediate method of attachment, requiring no surgery. Adhesive is simply spread over the back surface and allowed to dry. This is followed by carefully pressing into position for secure attachment. 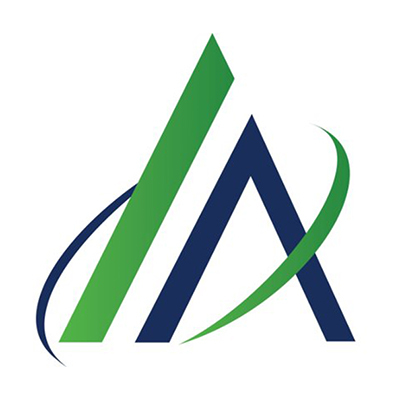 Medical Art Prosthetics has accumulated knowledge of adhesive chemistries spanning over 30 years. 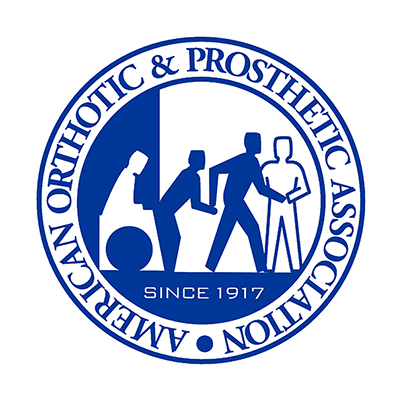 In many cases we combine the best attributes of several adhesives to provide excellent adhesion and security for the patient with ease of cleaning and care of their unique prosthesis. 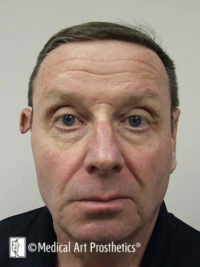 Medical Art Prosthetics has developed completely unique attachment strategies, some combined with specially formulated silicone fillers to create virtually undetectable facial prostheses. The bar-clip attachment has been the conventional method of attachment when designing osseointegration implant-retained auricular prostheses. 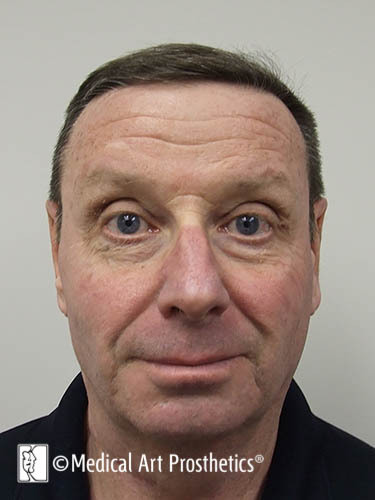 These patients received their osseointegration surgeries and the fabrication of the bar and their initial silicone prosthesis at other facilities. They then visited Medical Art Prosthetics for a new prosthesis with improved design and aesthetics which were created and delivered in 3 or 4 days. 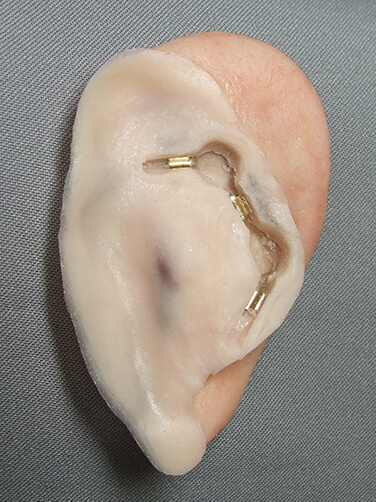 Medical Art Prosthetics regularly receives referrals from out of state clients who have a stable bone-anchored fixation bar but come to us for a short stay to have a new auricular prosthesis with much greater detail and improved material integrity and durability. 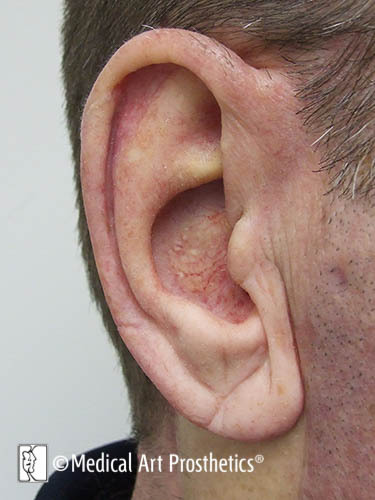 Patients and families are understandably conflicted in deciding whether to accept and live with the shape of their surgically constructed ears or to have more normally shaped prosthetic ears. 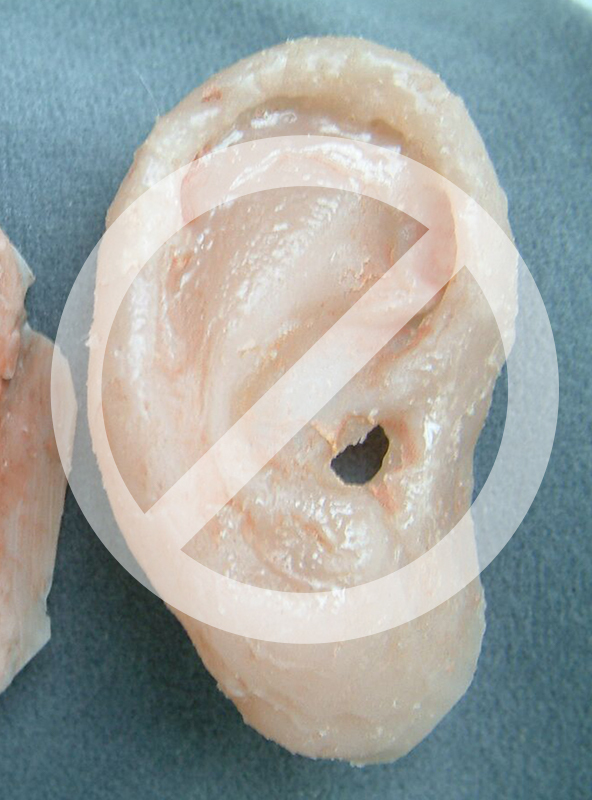 This is because they are told or they assume that their ear cartilage constructs must be completely surgically removed for the installation of osseointegrated implants. It is generally true that the implant-retained type prosthesis would require complete sacrifice of the ear construct. 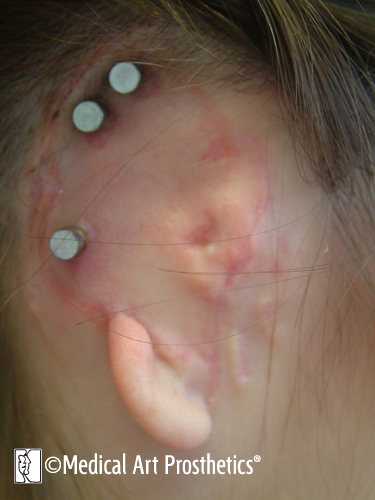 The surgical removal of the ear would be followed by further thinning of soft tissue in the area and attachment of that skin to the bone periosteum for the installation of osseointegration fixtures and abutments. Although this might ultimately be the best long term prosthetic attachment method for many of our patients, there is for some the option to spare their ear constructions by creating a slip-over type prosthesis that greatly improves the anatomical aesthetics of the ear. 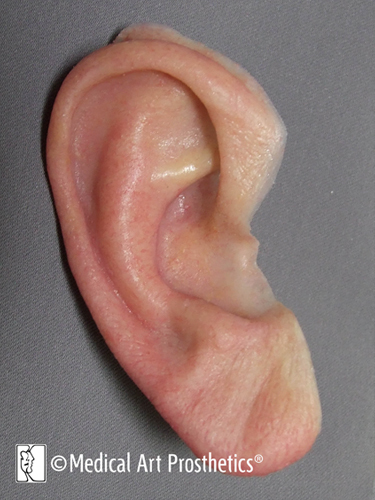 Slip-over silicone auricular prostheses in many cases attain excellent aesthetics and stay in place nicely by engaging the underlying ear cartilage undercuts. 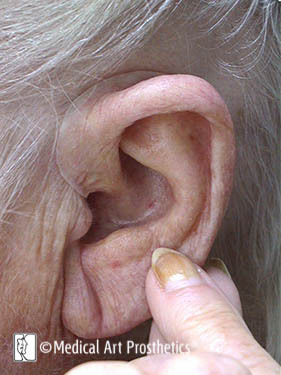 In ideal cases like this the prosthesis can be slipped on and off in seconds using a small amount of water soluble lubricant, and requires only simple soaping and rinsing for daily care. Creating the delicate shapes of the helix, antihelix, tragus, etc. 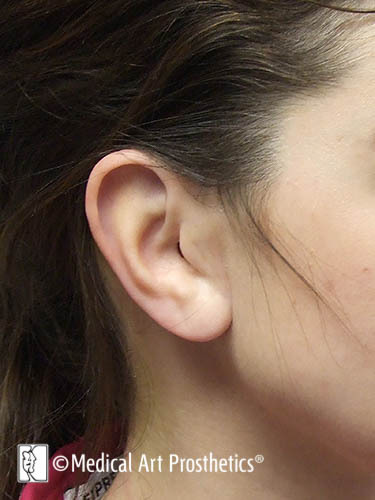 over the underlying ear shape is extremely painstaking, but if done with care and precision the enhanced anatomy can accomplish the beauty and grace that many long to see so they can wear their hair back. This approach gives the patient a chance to see what it is like to have and wear prostheses each day. It allows them time to know the nature of prosthesis wear and decide if the slip-over version is perhaps suitable for their own lifestyle. 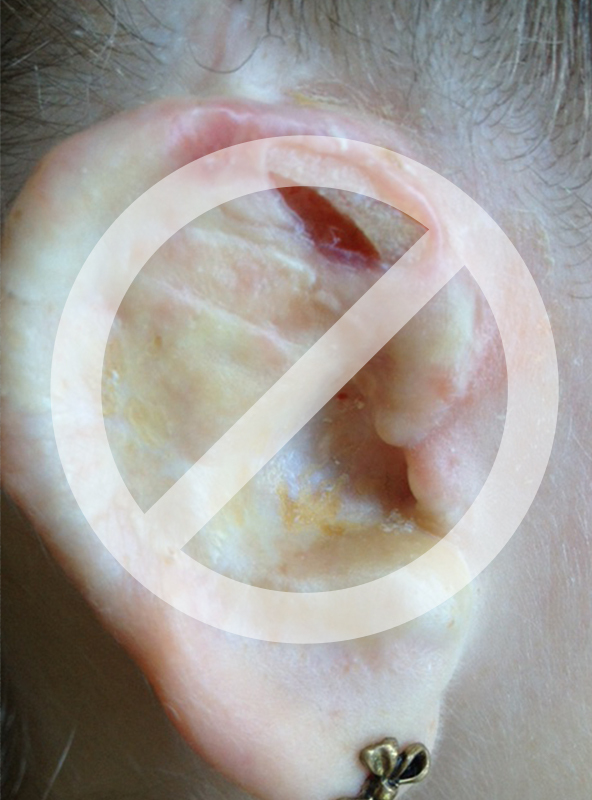 This is a helpful option before taking the drastic and irreversible step of having their natural ear tissue constructions surgically removed for osseointegrated implants. 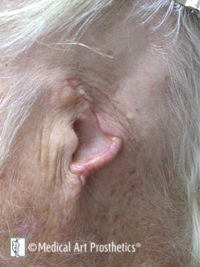 Partial or subtotal auriculectomy is treated without great difficulty, and the cartilaginous structure of the ear remnant is often used to support or suspend the prosthesis. 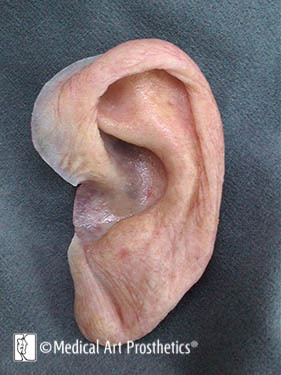 The partial ear prosthesis in this case is molded to slip into the triangular fossa and cymba conchae like a puzzle piece and is anchored in the precise location. 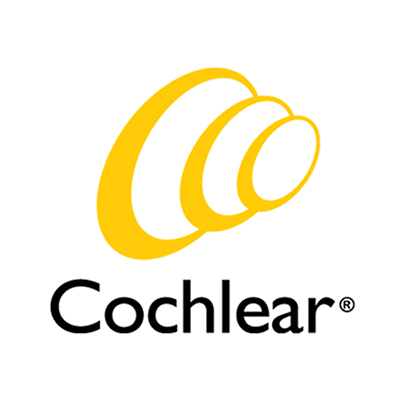 Adhesive may be applied under the margins for a secure seal, and a superior prosthesis flange is included in the design if the patient wants further stabilization of the prosthesis by the ear piece of his eyeglasses. 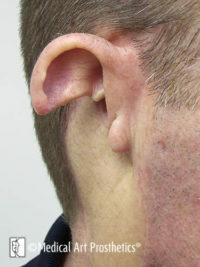 The frontal view without prosthesis demonstrates a problem the patient encounters following partial or subtotal auriculectomy when his unsupported ear tissue droops and falls away from the side of the head. 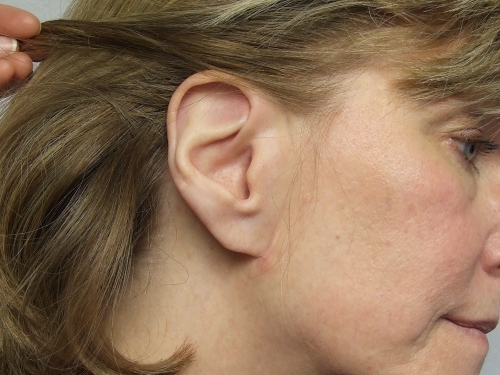 We have therefore carefully designed the ear prosthesis to lift and hold the helical remnant ear tissue into its ideal position to restore corrected symmetry and balance for the patient – a feeling of being restored the patient is needing. This ambitious approach courts failure and success simultaneously, but the challenge is typical for us. It is one we embrace with confidence and enthusiasm, because it is our specialty. These 2 cases illustrate the independent abutment/magnet method of attachment. 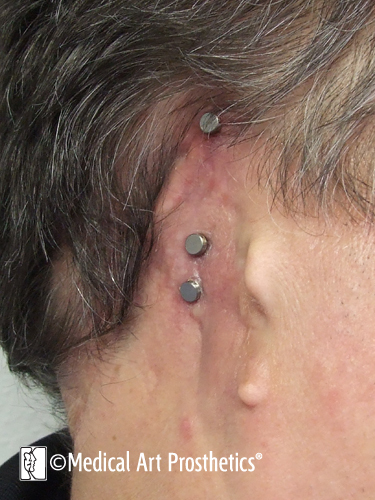 The other fixation method for the implant-retained auricular prosthesis does not require fabrication of a bar splint. 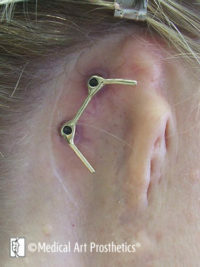 Rather it uses individual magnetic components to attach the prosthesis. New systems such as the Vistafix Generation 3 System by Cochlear Americas features newly designed abutment caps called auricular magnacaps paired with new magnets called auricular midi magnets which when used together provide excellent retention along with the ease of positioning and hygiene. 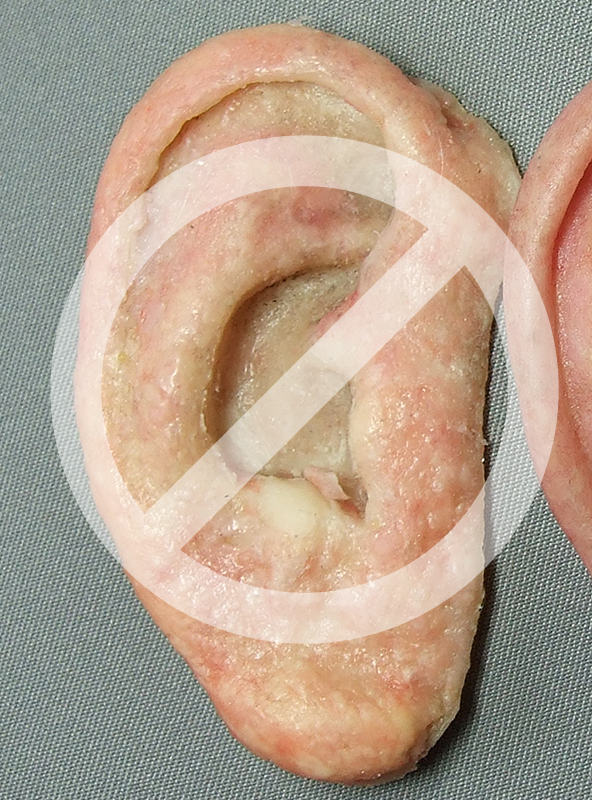 The Slip-Over type of auricular prosthesis is tissue-sparing and may be appropriate before any attempt at surgical ear reconstruction or removal of the microtia ear tissue for installation of osseointegrated implants. 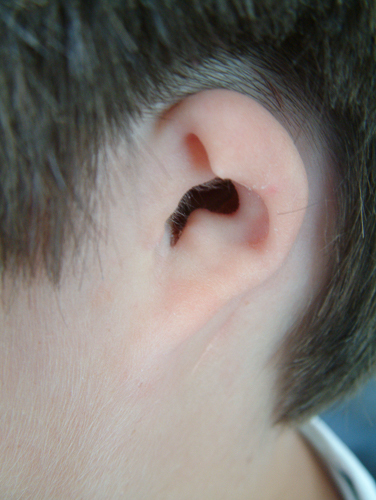 The shaping of the ear prosthesis occurs over and around the patient’s own microtia ear. 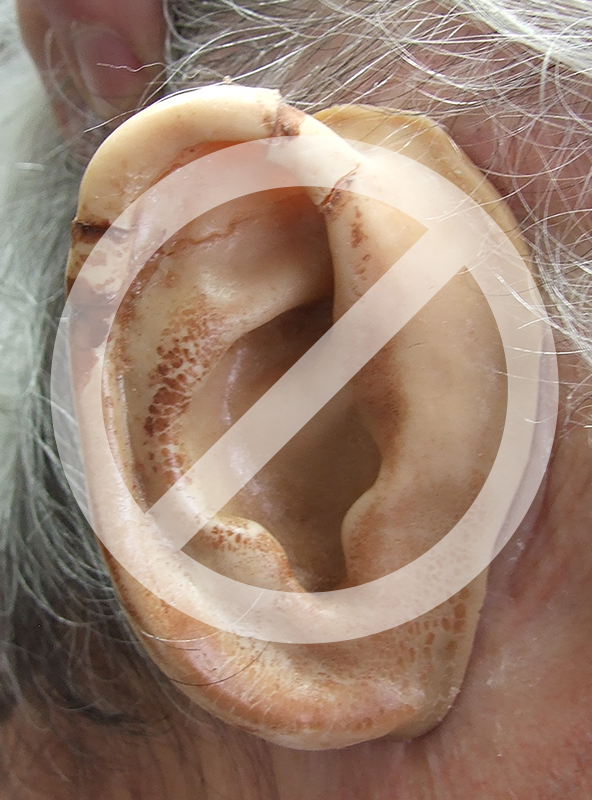 Various adhesives may be used to secure this auricular prosthesis and to create a more seamless blending with the patient’s skin. 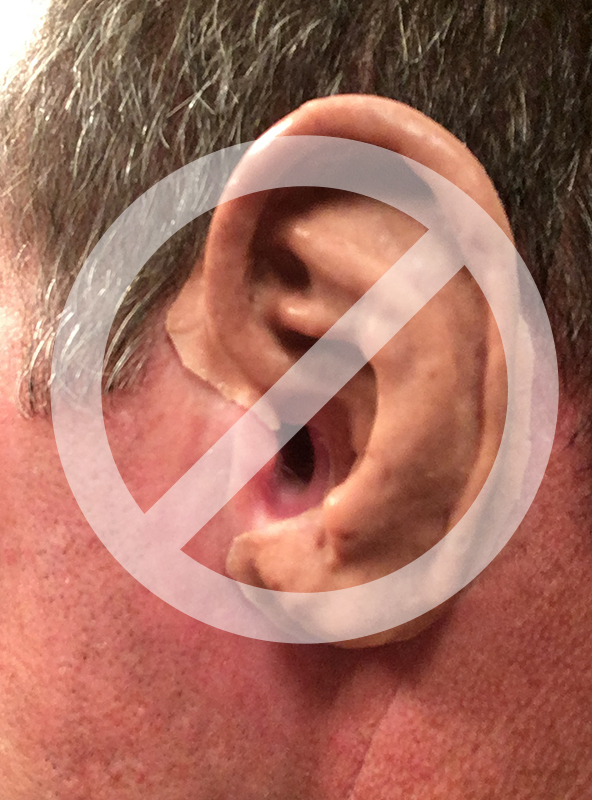 This ear prosthesis allows the family to know what it is like to handle and wear a silicone ear prosthesis on a daily basis. 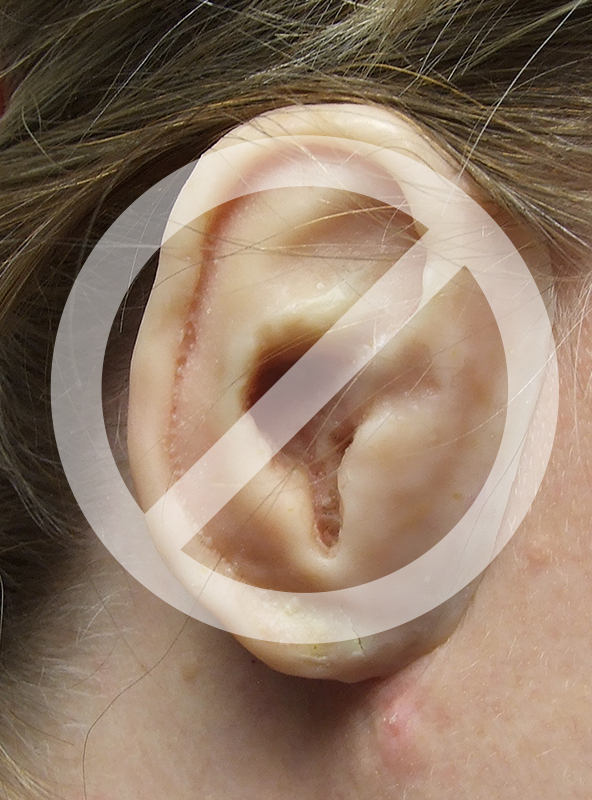 The decision is a very personal one and each individual will have different medical factors, microtia configurations and expectations that must be addressed. 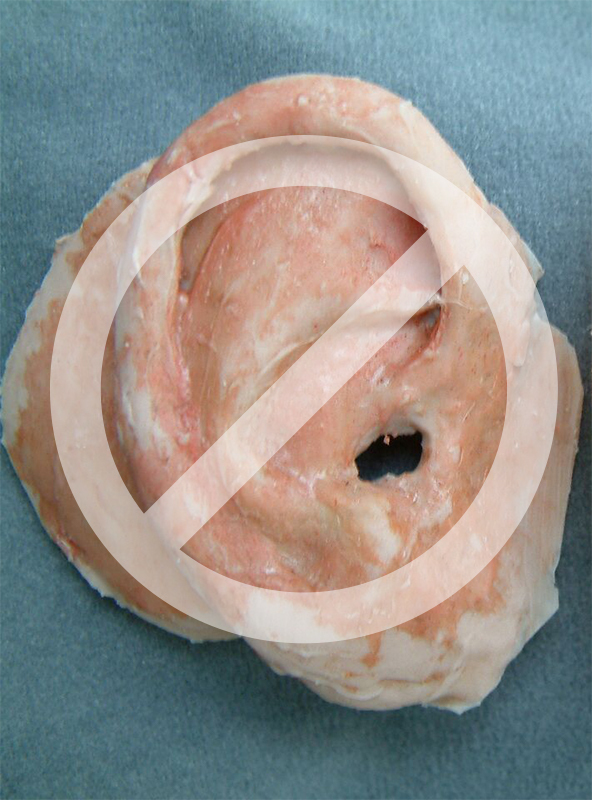 In some instances the patient will be able to wear the same prosthesis for years with only occasional refurbishing before a new molding is necessary. 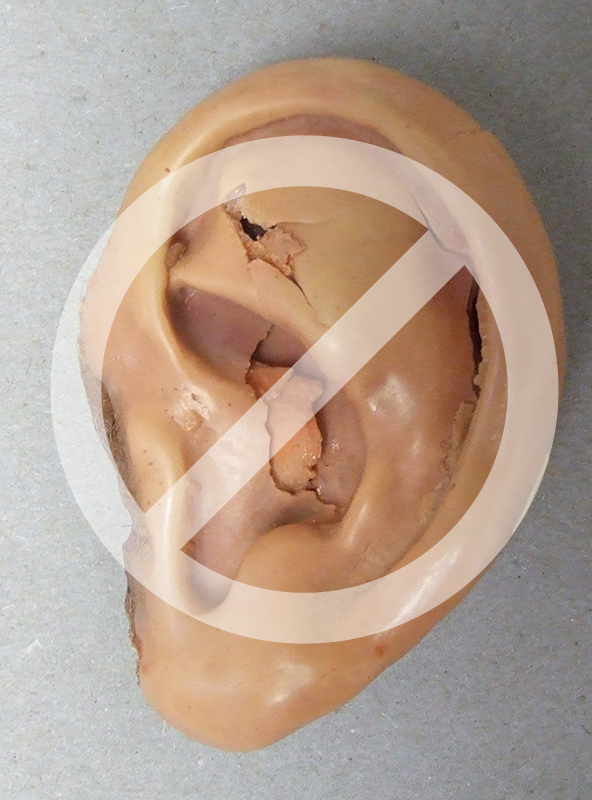 Aesthetic ear prostheses develop as a process where the practitioner makes critical judgements along the way and draws on artistic ability to instill life-like qualities into the prosthetic material – to the point the finished prosthesis looks like human tissue. 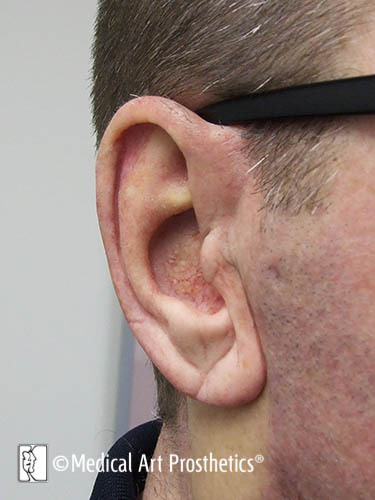 Patients seeking a highly accurate and strikingly life-like ear prosthesis may find this a challenge, even in this day of vast health care networks and advanced imaging technologies. Some large institutions, collaborative teamwork and new imaging and printing technologies all may play a role in producing ear prosthetics, but the beauty of the final result comes about from working with a very focused and talented practitioner. Call us. 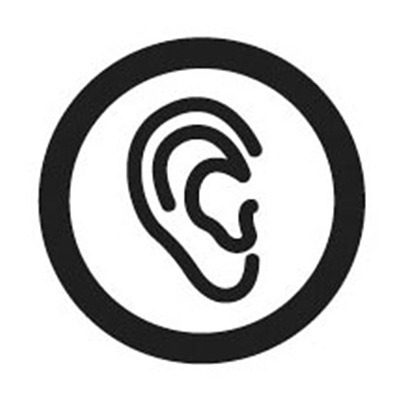 Tell us what has happened with your ear(s). Please do not be shy or think our practitioners are too busy to at least say hello and start a conversation. We will probably ask you to send or email a photo so we can see and understand your situation. We’ll have a head start if you send a quick photo now by clicking here. 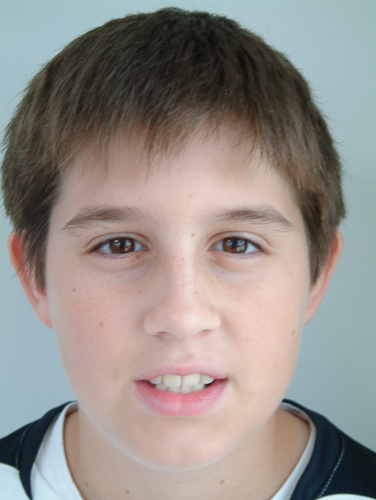 You’ll be pleasantly surprised how simple the process is once we see your photo. 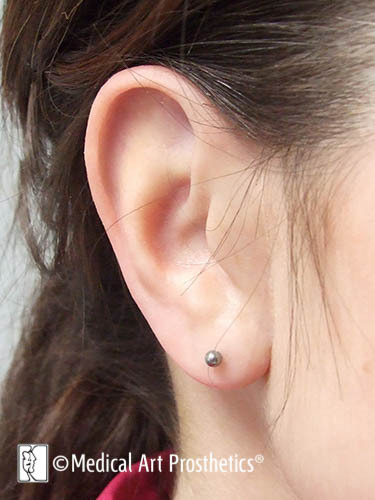 It immediately reveals the best options for attachment types given your ear conformation and history and for scheduling given your location. Come to the clean and friendly Madison, Wisconsin or meet us in our satellite locations so we can begin designing your prosthesis using our scanning technology and/or easy impressions. Stay the day or come back another day to finish the relaxed sessions for prototyping, color matching and trial fitting. 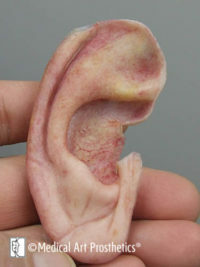 Just one more day is all that is needed in most cases to make final precision color/surface treatments and attach your beautiful ear prosthesis for final delivery with full instructions and supplies. 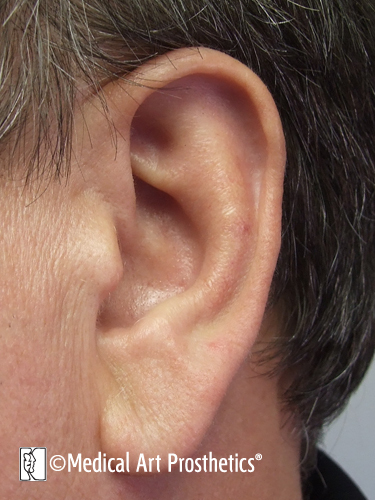 *In Madison, we can actually complete most adhesive-retained or slip-over type ear prostheses in 3 or 4 days to accommodate those wanting to make just one single trip, but we can also break the trips up to suit anyone’s schedule. We don’t hurry any part of the process, and our swift work comes from honing our skills and artistry in silicone manipulation over decades. 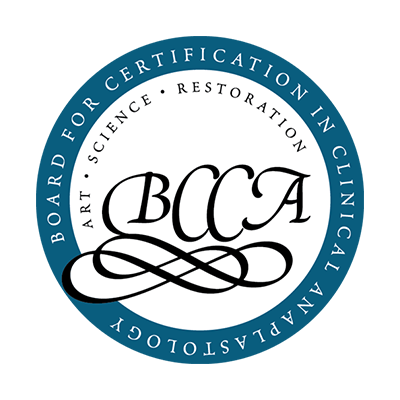 Remember, at the core we are artists, with advanced degrees in medical art, and that is what makes the difference. Your best ear prosthetics options are backed by world-class expertise. We are very happy with Billy’s new ear. Friends and family couldn’t believe how it matches his right ear perfectly. We see a confidence in Billy that we have never seen before. People do not stare anymore. This means the world to us. Billy says that he is very happy. Thanks for all you have done. People are amazed at the work you have done, and unless someone knows I had lost my ear they would never be able to tell. 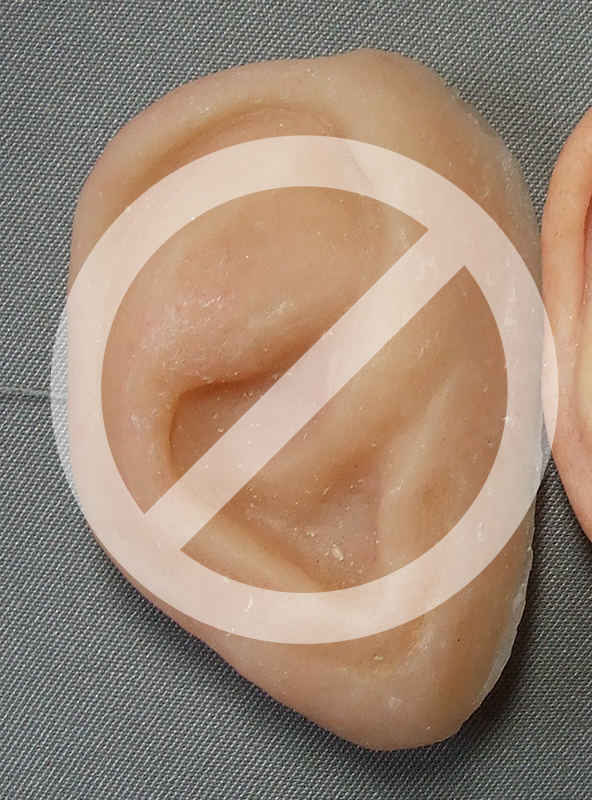 Even those that do know I have a prosthetic ear cannot tell which one is real. Thx Greg- …Very happy I made the trip (from PA)…it was well worth it…no problems with the fit…and the color adjusted perfectly…you do amazing work.